I was born in 1972 in a town not far from the city of Cork, on the south coast of Ireland. 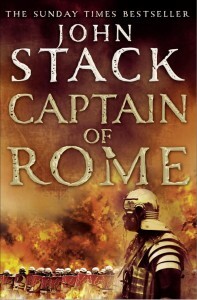 Growing up I was a huge fan of Wilbur Smith and James Clavell although I never dreamed I would one day be a writer. After college I went to work for an American company out of Cork, managing a team of computer aided design technicians, a job that led to lots of travel and the opportunity to continue my education in business. After ten years I was made redundant, with my job going overseas to lower cost economy. I knew it was coming, (I ended up training in my replacements!) and so in the final months of my employment I decided to fulfil an ambition. I began to write an historical fiction novel. Having never before written a single thing I had no idea what the future held but as luck would have it I secured an agent a month before I was made redundant and signed a deal soon after. 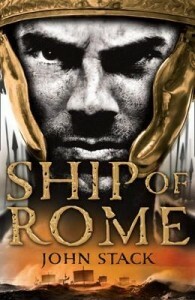 My first book, Ship of Rome was published in January 2009 and reached the Sunday Times bestsellers list. 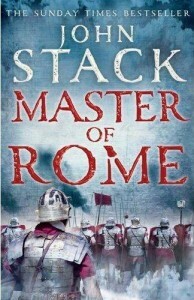 My second book Captain of Rome followed a year later and my third, Master of Rome, completing the trilogy entilted Masters of the Sea. 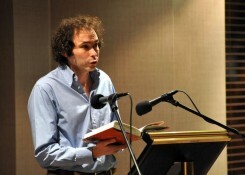 The fourth book, about the Spanish Armada, will be published in 2012. I am married with three children.